We are proud to announce the judges for the 2018 Ole Miss Choral Festival! Robyn Reeves Lana is the founder, managing artistic director and conductor of the award-winning Cincinnati Children’s Choir, ensemble-in-residence at the University of Cincinnati College-Conservatory of Music. At CCM, Lana sponsors undergraduate interns with the children’s choir and mentors graduate choral conducting students. Level III Orff-Schulwerk-certified, she also teaches general music for grades 1-8 at the Montessori Academy of Cincinnati. Lana is a regular guest conductor for international, state and regional honor and festival choirs, most recently in Kentucky, Indiana, Mississippi, New Jersey, Pennsylvania, Tennessee and Ohio. She looks forward to conducting the ACDA Southern Division Honor Choir in 2012. In demand as a clinician, she has presented workshops on choral artistry and vocal development for workshops at Music Educators National Conference regional conventions, for the Music Educators Association of Ohio, Indiana, Mississippi, Tennessee, and Ohio, and for the Northeast Ohio Education Association. She has presented techniques for educating and performing chamber music for young children at the Chamber Music America National Convention. Articles by Lana have been published in the Choral Journal, Choristers Guild’s The Chorister, and Chamber Music America’s CMA Matters. She serves as ACDA representative for the 2012 World Choir Games Music Advisory Committee and as national chair for ACDA’s Children’s and Community Youth Choir Repertoire and Standards. She is a member of Chorus America, MENC, AOSA and IFCM. Lana has bachelor and master’s degrees in Music from the University of Cincinnati College-Conservatory of Music. She has a cognate in Voice and has done postgraduate work with Henry Leck at Butler University. GRAMMY® Award winner Jerry Blackstone is a leading conductor and highly respected conducting pedagogue. He served on the faculty of the University of Michigan School of Music, Theatre & Dance for thirty years where, as Director of Choirs, he led the graduate program in choral conducting and oversaw the University’s eleven choirs. In February 2006, he received two GRAMMY® Awards (“Best Choral Performance” and “Best Classical Album”) as chorusmaster for the critically acclaimed Naxos recording of William Bolcom’s monumental Songs of Innocence and of Experience. The recent Naxos recording of Milhaud’s L’Orestie d’Eschyle, on which Blackstone served as chorusmaster, was nominated for a 2015 GRAMMY® Award (“Best Opera Recording”). The University of Michigan Chamber Choir, conducted by Dr. Blackstone, performed by special invitation at the inaugural convention in San Antonio of the National Collegiate Choral Organization and presented three enthusiastically received performances in New York City at the National Convention of the American Choral Directors Association (ACDA). In 2017, the National Collegiate Choral Organization presented him with its prestigious Lifetime Membership Award and, in 2006, for “significant contributions to choral music,” he received the ACDA-Michigan chapter’s Maynard Klein Lifetime Achievement Award. Blackstone conducted the U-M Men’s Glee Club from 1988-2002 and led the ensemble in appearances at the 1997 ACDA National Convention in San Diego, in multiple appearances at ACDA Central Division conventions, in four international tours, and in annual tours throughout the United States. 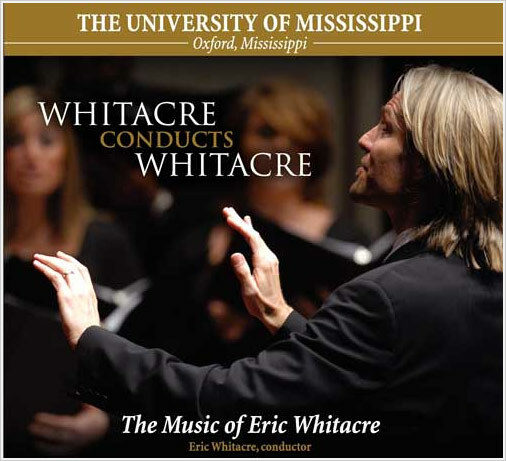 From 2003-2015, Blackstone served as conductor and music director of the University Musical Society (UMS) Choral Union, a large community/university chorus that frequently appears with the Detroit Symphony Orchestra (DSO) and the Ann Arbor Symphony and presents yearly performances of Handel’s Messiah and other major works for chorus and orchestra. In 2008, he conducted the UMS Choral Union and the DSO in a special performance of the Bach, St. Matthew Passion. Choirs prepared by Blackstone have appeared under the batons of Valery Gergiev, Neeme Järvi, Rafael Frühbeck de Burgos, Leonard Slatkin, Hans Graf, Michael Tilson Thomas, John Adams, Helmuth Rilling, James Conlon, Nicholas McGegan, Peter Oundjian, and Yitzak Perlman. Blackstone is considered one of the country’s leading conducting teachers, and his students have been first place award winners and finalists in both the graduate and undergraduate divisions of ACDA’s biennial National Choral Conducting Awards competition. His 2016 rehearsal techniques DVD, Did you hear that? (GIA Publications) deals with the conductor’s decision-making process during rehearsal. Santa Barbara Music Publishing distributes his acclaimed educational DVD, Working with Male Voices and also publishes the Jerry Blackstone Choral Series. 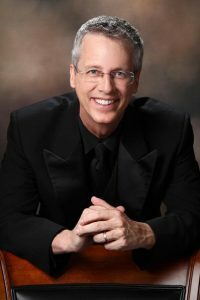 Blackstone is an active festival guest conductor and workshop presenter and has appeared in forty-two states as well as New Zealand, Australia, Hong Kong, and Shanghai. Recent appearances include festivals and conference presentations in Australia, New Zealand, China, New York, Florida, New Hampshire, California, Massachusetts, Mississippi, Oklahoma, and Michigan. In the summer, Dr. Blackstone leads the Adult Choir Camp and the Choral Conducting Institute at the Interlochen Center for the Arts, and is on the faculty of the Sicily Choral Institute. Prior to coming to the University of Michigan in 1988, Dr. Blackstone served on the music faculties of Phillips University in Oklahoma, Westmont College in California, and Huntington University in Indiana. He holds degrees from the University of Southern California, Indiana University, and Wheaton College.